All you have to do is visit MistyAurora on Etsy and leave a comment with your favorite piece from the shop. The giveaway is open until November 24th, when I will randomly pick a winner from the comments below. Make sure to leave a valid email address with your comment so that I can reach you for further details. For extra entries you can like MistyAurora on Facebook, follow A Splendid Assemblage on Bloglovin' or Google and/or Pin this giveaway to Pinterest. I loved the acorn earring studs. I like Mustache Earring Studs as well! I like the neon green triangle necklace. I love the Audrey Hepburn Quote Necklace! Liked Misty Aurora on fb as Alice Beerland!! A galaxy necklace!? Definetly on my to-have list!! HI!!! I love the Handcuff Silver Plated Necklace!!! Its so creative! And also the galaxy necklace!!!! Love all of your stuff, but the Inspirational Necklace Dr. Seuss Don't cry because it's over Smile because it happened!!! That is pretty much my life right now and would be perfect!!!!! I'd love to win this beautiful necklace! I follow on Bloglovin' as Aik. My favorite is the black triangle necklace. Wow that is a really beautiful necklace!! LOVE IT!! 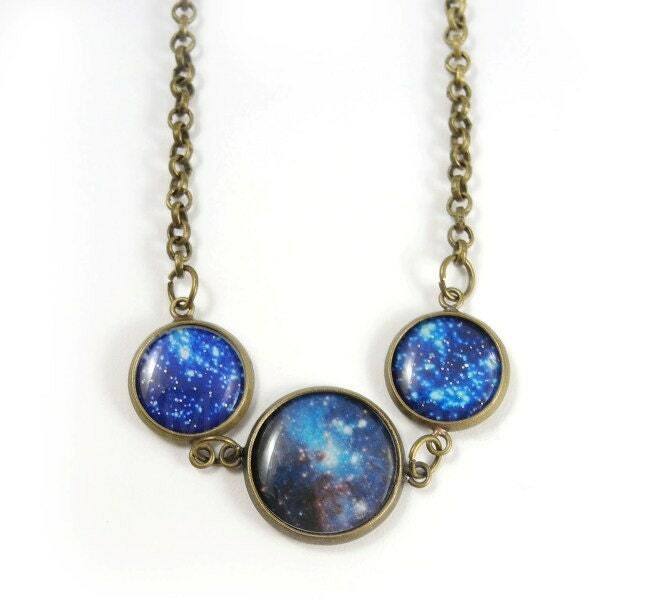 The blue galaxy necklace is by far one of your best pieces. absolutely stunning. i am going to a space themed hen party in a few weeks and this would be perfect! 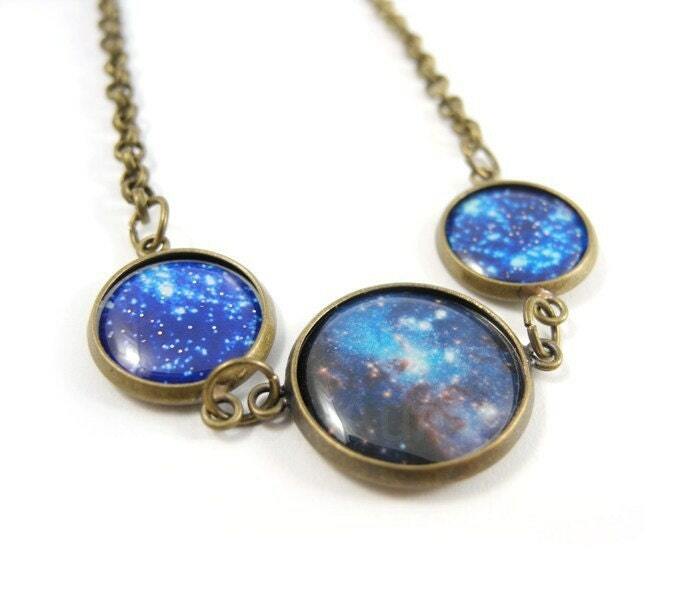 The blue galaxy necklace is by far one of your best pieces. Absolutely stunning. I'm going to a space themed hen party in a few weeks and this would be perfect! I've been a fan of her hot air balloon necklace for a while. I like MistyAurora on FB (Suzanne Gregg). Fairy Wish Door Locket Miniature Necklace Antique Bronze on Brass Chain Hobbit Frodo Free Shipping Enchanting Romantic. WOOOOW! I love the Love Me When I Least Deserve It - Swedish Jewelry necklace. I adore the Galaxy Necklace - Black Pink Pendant Necklace!! Such a cool concept, I love it. If i were to be picked to win something from your shop, anything would do! but the piece that i spotted and love the most is the Blue Purple Necklace - Space Jewelry! I thinks its super unique and the red in the necklace would bring out the red low-lights i have in my hair! I love the raven necklace! I liked Misty Aurora on fb! Im following you on gfc! I like the Hot Air Balloon Necklace. The hot air balloon necklace is fun and cute! The All I Wanna Do Is Ride Bikes With You brooch is fabulous!! SO cute. Reminds me of my baby and me. I soooooooo love the HUG ME EARRINGS!!! OMG. IT'S REALLY SOOOOO CUTE. i like the galaxy earrings! i love the galaxy earrings! This is so awesome. I would love to give it to my sister. I like the matching Galaxy Earrings in Purple!! I'd love to win this prize! I'm a bloglovin' follower - Aik. I adore the Fairy Wish Locket Necklace! Definitely a great quote, "Be as you wish to seem"
I like the butterfly earring studs. Thanks for the chance. Love the Hedgehog necklace! 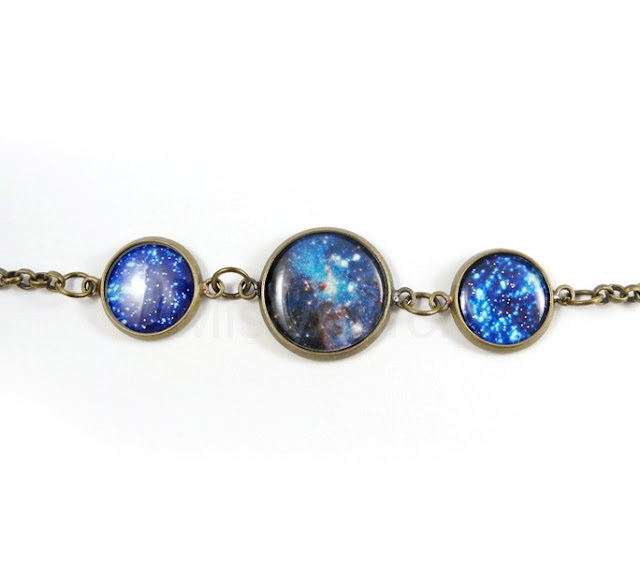 This galaxy necklace is amazing..just like everything else in your shop! Love the galaxy stud earring as well! the green kiwi stud earrings are my favourite!! Oh wow, what a clever necklace - great for us ladies who are science and space buffs! I like Misty Aurora on Facebook as Deborah Davey. I love the Star Necklace! As someone who is named after a moon of saturn and loves to star gaze this necklace is beautiful! I love the Fairy Wish Locket Necklace, its amazing. I love the bunny necklace! The galaxy jewelry is my favorite, those studs are awesome! Oh gosh, I LOVE this Galaxy necklace. The black & pink galaxy necklace is sweet, too! And the owl necklace. I love everything! I liked Misty Aurora on Facebook as Whitney Lindeman. I love the bicycle brooch! i dont know this website at all. just saw a picture of the necklace and had to see what this amazing thing is! take care and keep on the amazing work. never saw anything like it. Wow, that's a gorgeous necklace. Beautiful. It might actually be my favorite from her store - that or the Black Pink galaxy necklace. I follow you on GFC as craftgirl83. I love the movember earring studs! Wow, what a beautiful necklace. I love the silver skull earrings as well! Welcome :) Please, always link back and give proper credit when using or sharing content from this blog.Thank you! The content and images of this blog, unless otherwise noted, belong to me. ©2012 A Splendid Assemblage. All rights reserved. Powered by Blogger.